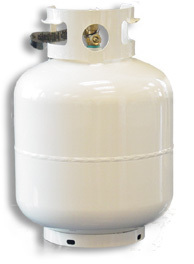 Propane can be used for heating, drying laundry, cooking, grilling, refrigeration and running some heavy equiment. Bring your tanks in today to be filled. Sorry, we do not deliver at this time. Available at our Eureka, Fortuna, and Garberville locations.